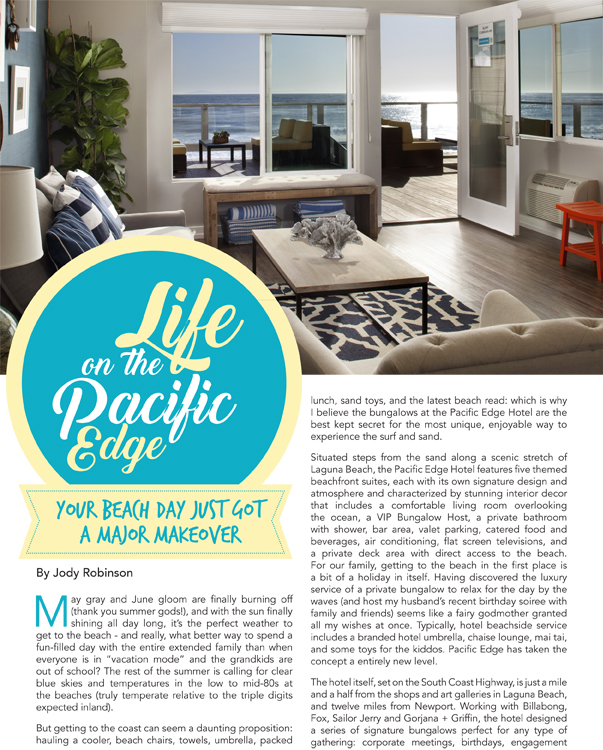 Sorbet, the third of six South County Publications by Editor-in-Chief, Jody Robinson, featured Pacific Edge Hotel in a two-page spread in their July print and online editions. "Situated steps from the sand along a scenic stretch of Laguna Beach, the Pacific Edge Hotel features five themed beachfront suites, each with its own signature designs and atmosphere, characterized by stunning interior decor that includes a comfortable living room overlooking the ocean, a VIP Bungalow Host, a private bathroom with shower, bar area, valet parking, catered food and beverages, air conditioning, flat screen televisions, and a private deck area with direct access with direct access to the beach. For our family, getting to the beach in the first place is a bit of a holiday in itself." 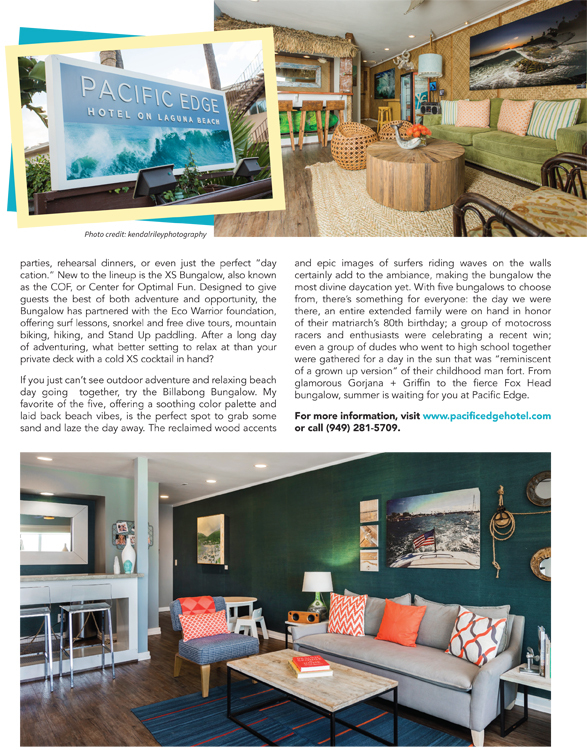 For more information on spending a daycation in one of the Bungalows or hosting a special event in these unique beachfront hot spots, contact Melinda Parker at 949.281.5728.